She presented the collection on the third day of PBCW and have done it beautifully.Bridal dress is one of the most precious things for a women who is about to be get married. Pakistani women try her level best to make herself the most beautiful and the most attractive lady especially on the wedding day, obviously it must be because bride is always the centre of eye of everyone and the most talk-about thing about the bride is her dress. 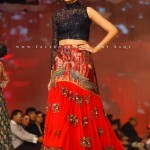 Sparkling green, shining white, glamorous yellow, metallic gold and bright pink hues were adorned with colorful butterfly and peacock patterns drawn at waist line of lehengas. 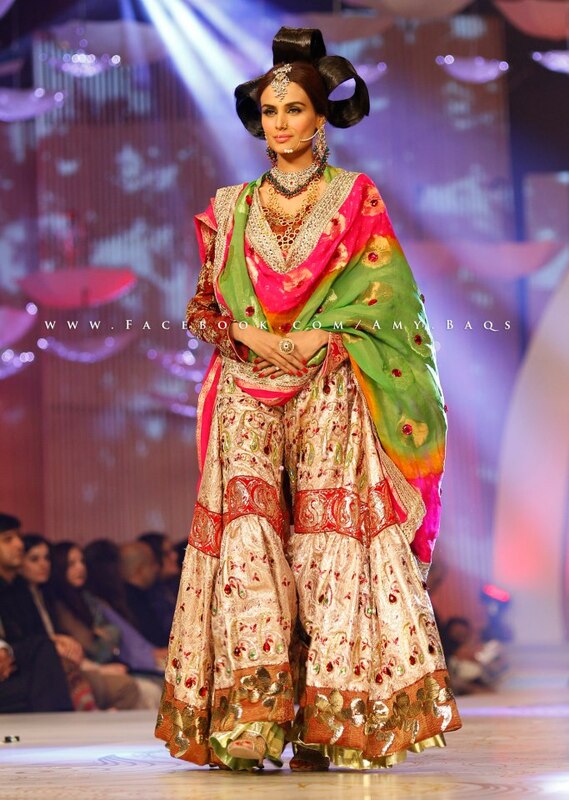 Drama artists Madiha Iftikhar, Amna Malik and Tipu were the showstoppers for Nadya Mistry Bridal Collection 2013 at Pantene Bridal Couture Week Karachi 2013.The make-up and hair-style for Nadya Mistry show was done by Saba Ansari of Sabs Salon. 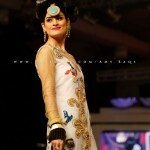 Hassan Shehryar Yasin choreographed the runway show whereas HUM Network Ltd managed and executed the Pantene Bridal Couture Week Karachi 2013.Nadya Mistry has been doing an outstanding work within Pakistani fashion industry by producing high quality fashion wears most especially bridal and formal dresses she makes are very unique in their kind. All of her collections are quite different that combines with bold cuts along with eastern and western blends that makes her dresses perfect for modern day women. 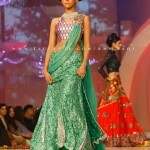 The collection she presented on the ramp of Bridal couture week is also very beautiful and elegant.